Main objective of this report is to Identify the Key Marketing Deficiencies of STAR, here evaluate the form and status of competition in the segment. Report focus on to identify the key marketing deficiencies of “STAR” as a brand in Tk. 1 segment against its largest competitor “NAVY” on the basis of consumer disposition funnel. Finally recommend some appropriate and market specific solutions to minimize the gap and design a detail pilot project for implementation of the recommendations. Low segment is the most critical segment for BATB for its volume leadership in the industry. Recent trend indicates the segment is growing faster than any other segment and attracting highest number of new entrants and up-traders. The segment is expected to grow and become the most influencing segment in the industry over mid term. “STAR” is the drive brand in this segment. In recent years, the brand has grown substantially and became the biggest brand of BATB. However, “NAVY” is also has grown and in some markets grown faster than “STAR”. Right now “NAVY” is slightly ahead of “STAR” in terms of off-take share. To maintain BATB’s leadership it is absolutely critical to overtake “NAVY” and establish “STAR” as the leading brand of the low segment. The hidden truth behind this strategy is that BATB wants to establish “STAR” as the leading brand in this low segment because it does not want “NAVY” to get strong base and to endorse Castle in the mid segment where John Player Gold Leaf (JPGL) and Pall Mall are the main profitable brands for BATB. In light of the above facts, “STAR”‘s superiority over “NAVY” needs to be clearly established in each segment of trade “STAR”ting from the retailers to the ultimate consumers. Project Seedbed is a bold step towards that direction. Project Seedbed was first proposed to the Marketing Top-Team Meeting (MTM) and then to the Executive Committee Meeting (ExCoM) in December 2004 as a regional initiative by Khulna Region. This Campaign is expected to clearly establish “STAR”‘s product positioning and provide smokers reasons to rationalize “STAR”‘s superiority over competition. Just to update, overall product superiority of “STAR” has been confirmed during the last MASQ, where “STAR” was rated over “NAVY” in terms of product performance. The purpose of the study is to successfully identify the key marketing deficiencies of “STAR” in Khulna and propose some appropriate and market specific strategic solutions to establish “STAR”’s superiority over its competitive brands. Evaluate the form and status of competition in the segment. Identify the key marketing deficiencies of “STAR” as a brand in Tk. 1 segment against its largest competitor “NAVY” on the basis of consumer disposition funnel. Recommend some appropriate and market specific solutions to minimize the gap. Design a detail pilot project for implementation of the recommendations. This research includes a consumer survey module to identify the key deficiencies in case of “STAR”. One thing that needs to be mentioned here is that, the survey module were already designed and the modality were already prepared and accepted by the team. There was not much scope to customize or rearrange the survey methodology. Therefore, the applicability issue does not come under the scope of the study. Also, secondary data sources such as sales report and other materials were used as necessary. Fragmented retailer interviewing were done in several cases to get a comprehensive view. The survey conducted for the study is done considering the effect of different stages in the market. Major clusters in Khulna were identified based upon differentiating characteristics and then proportional sample size was determined to represent the whole market. A common datasheet form, designed by the BATB survey management team to distinguish consumer loyalty and some other relevant attributes were used for the survey. The form helps the surveyor to find definite clue about the consumer’s level of attachment with “STAR” as well as “NAVY”. After the Introductory Part, each question judges the consumer to find out in which level the consumer is in currently now. It “STAR”ts from Awareness Level and ends in the Loyal Level. The collected data from the survey were extracted from the datasheets and put into a flow-table to analyze the chronicle changes in the disposition funnel. The data taken for “NAVY” was used as the benchmark. From there, it is possible to successfully identify the major deficiency areas and have an outline for recommendations and further decision making. British American Tobacco Bangladesh Company Ltd.
British American Tobacco Bangladesh is a member of the British American Tobacco Group that is based in UK and one of the leading players in the global tobacco business. With a long established reputation for providing its consumers with consistently high quality brands, British American Tobacco Group was formed at the turn of the 20th century with the objective of establishing a worldwide business. British American Tobacco is World’s most global tobacco company. BAT has 85,000 employees selling more than 300 brands in more than 180 markets worldwide. Today, the company produces some 2 billion cigarettes every day. More than a billion people across the globe enjoy smoking tobacco. One in every eight chooses a British American Tobacco brand. In order to support the company’s business goals, the merger of British American Tobacco with Rothmans International had been announced on 11 January 1999. This global merger was completed on 7th June 1999. This brings together the number 2 and 4 players which together will boast a combined volume exceeding 900 billion cigarettes around the world with some 120,000 employees and a world-wide market share of 16 percent (Phillip Morris has a 17 percent share). The merger is a major step forward in British American Tobacco’s vision of becoming the world’s leading International Tobacco Company. British American Tobacco Bangladesh Company Limited, a market leader in the country, is a subsidiary of British American Tobacco PLC and is one of the 66 countries in which the British American Tobacco Group has manufacturing plants. British American Tobacco Bangladesh has operated in Bangladesh since pre-independence and has it’s headquarter in Dhaka, with a tobacco leaf processing operation in Kushtia. It is one of the oldest, largest and most respected multinational companies operating in Bangladesh. BATB markets major international cigarette brands like Benson & Hedges, State Express 555, John Player Gold Leaf and Pall Mall, which are complemented by local brands such as Capstan, “STAR” and Scissors. The company also exports processed tobacco leaf in the international market, mainly in the European Countries with its effort to create an international market of its products. British American Tobacco Bangladesh currently employs more than 1,300 people and provides indirect employment to a further 24,500 farmers, distributors and suppliers. Currently, British American Tobacco Bangladesh has two factories in Bangladesh. The Cigarette Manufacturing Factory (Dhaka Factory) is located on the same premises as the Head Office in Mohakhali, Dhaka. The Green Leaf Threshing Plant (GLTP) is situated in Kushtia. In line with the global identity change of British American Tobacco PLC, BTC was renamed as British American Tobacco Bangladesh Company Limited (BATB) in 1998. The Company is listed on both the Dhaka and Chittagong stock exchanges in the country. The journey of this company “STAR”ted long back. BATB was established back in 1910 as Imperial Tobacco Company Ltd. with head office in Calcutta. In the very beginning, Imperial Tobacco Company (ITC) launched a branch office at Moulivibazar, Dhaka in 1926. Cigarettes were made in Carreras Ltd., Calcutta. Imperial and Carreras merged into a single company in 1943. After the partition in 1947, cigarettes were coming freely from Calcutta, but introduction of customs barriers in 1948 between India and Pakistan interrupted the smooth flow of cigarettes from Calcutta to East Pakistan. In March 1, 1949, Pakistan Tobacco Company (PTC) came into existence with head office in Karachi; with the assets and liabilities of ITC Limited held in Pakistan. The then East Pakistan Office was situated in Alico Building, Motijheel. In order to meet the increasing demand, the first factory in the then East Pakistan was established in Chittagong in 1952. From this time, onwards requirements for cigarettes for East Pakistan markets were met from products manufactured in Karachi. In 1954, PTC established its first cigarette factory although high-grade cigarettes still came from West Pakistan. The Dhaka factory of PTC went into production in 1965. After the war between India and Pakistan in 1965; the import of tender leaf from India for the production of Biri was stopped. This gave a big boost to cigarette business. It was at that time the East Pakistani entrepreneurs set up 16 cigarette factories in this region. After independence, Bangladesh Tobacco Company (Pvt.) Limited was formed on 02 February 1972 under the Companies Act 1913, with the assets and liabilities of PTC. Shareholding position for GOB and BAT was 1:2. BTC (Pvt.) was converted into a public limited company on 03 September 1973. British American Tobacco played a pivotal role in BTC’s creation in 1972 and since then has been involved in BTC’s development every step of the way. To pronounce the successful relationship with British American Tobacco, BTC has changed its name and identity to British American Tobacco (BAT) Bangladesh Company Limited on March 22, 1998. The company changed its identification to establish commitment to the highest international standards. BATB actually maintains a relationship with BATCO through AMESCA. It is actually a region of BATCO to which BATB reports. AMESCA is made up of: A = Africa, ME = Middle East, S= Subcontinent, CA = Central Asia. BATB is a public limited company. Management Director is the operational head and appointed by the British American Tobacco. Head of every department carries out their functions with the help of line managers. Different departments have different structure according to their function and responsibility. The Board of Directors and Executive Committee (ExCo) govern the overall activities of the company. The Board of Directors is composed of 10 members who are called Directors. The Chairman heads the Board of Directors. Chief Executive of British American Tobacco Bangladesh is called the Managing Director, who is normally appointed by BAT Holdings. Managing Director of the company is the chairperson of the Executive Committee. This committee includes the head of all the functional departments. There is a positive relationship between the company and the trade union based on mutual trust and respect. All the employees of the company belong to the trade union. When a worker becomes a member of the union, according to his request a certain amount of his wage is deducted as the union subscription fees on a check off system. Trade union election is held after every two years and governed by their respective constitutions. The terms and conditions of services of the employee are negotiated and determined through a process of collective bargaining between the company and the union. For the relevancy of the study, only the marketing department and its structure have been discussed to provide a comprehensive view. While the Brand Marketing wing focuses upon the branding aspects of a product, the Trade Marketing & Distribution (TM&D) Wing focuses upon the trade and distribution aspect. These two wings are joined by the Trade Development Team (TDT). The Brand Marketing department concentrates on satisfying consumers’ needs from within the brand portfolio. Once consumers’ needs are understood and evaluated, brands can be made available, accessible and desirable through strong, consistent communication. The brand marketing elements covers the adopting of products, logistics and brand marketing policies that best meet the needs of particular trade channels and strategic customers. The Brand Managers and Brand Executives are responsible for the allocated brand(s). They are responsible for all type of brand management activities. Destination brand in key segments. Expand the premium segment growth. To reach our target consumers in the most efficient and effective way by becoming the benchmark supplier to the trade within strategic channels in every market place where we do business. Improve our benchmark supplier status to the trade pioneer among all FMCG companies. Regional Trade Marketing Office (RTMO): The British American Tobacco Bangladesh has a well-defined mission for the marketing and distribution of products, which is to reach the target consumer in the most efficient manner by becoming the benchmark supplier to the trade within the strategic channels in every market where the company operates. A well-organized trade marketing team is working continuously to make this mission successful. Furthermore, the whole country has been divided into six regions to perform the marketing activities efficiently. Moreover, the regions are further spitted into 11 areas. Right now, there are six regional managers, 20 area managers and 51 territory officers working under the Head of Trade Marketing. At present, there are 63 distributors involved with BATB who are responsible to make the products of the company available throughout the country. 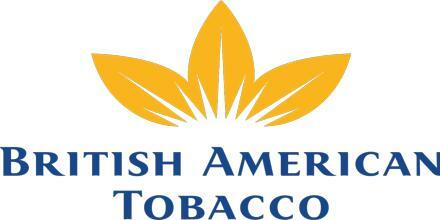 The British American Tobacco Bangladesh considers the distributors as their customers. They have identified the distinction between the customers and consumers in a proper way. Consumers are those who buy cigarette for smoking. The Company sells their product to the distributors. The distributors in turn sell to the retailers and cash & carry as well. Cash & Carry are nothing but wholesalers. Cash & Carry are needed because at times the retailers may not have adequate funds to buy the required quantity. However, the company is trying to discourage the use of these wholesalers to control the price of their product in the market. Generally, the trade marketing and distribution team performs three main activities, which are trade coverage, cycle implementation and training & development. Trade Coverage: Accumulating primary data from the market is a function of trade coverage. There is a team working to identify retailers who contribute eighty percent (80%) of their total sales volume. The Territory Officers (TO) are responsible for making a route plan by which they can identify which outlets to visit and in what frequency on the basis of those classes. The Territory Officers have to visit at least 12 outlets a day and collect raw data from the retailers on the call card in the Laptop computer. A set of questions regarding the various aspects of the out lets make up the call card. There is a database at the RTMO, which is updated regularly by using those calls. This database serves as a powerful tool to identify and classify different outlets in terms of volume sales, outlet characteristics and consumer profile. Cycle Implementation: The marketing people of BAT have divided the whole year into 13 cycles and each cycle focuses on a particular brand, Furthermore, the brand marketing group along with trade marketing people develop promotional campaign plans for each brand. They also select the brand for the cycle and develop cycle instructions and send it to RTMOs. After that, the trade marketing team develops some objectives and implements those within their territory, which helps to follow the proposal cycle instructions. The regional manager and the area manager(s) then brief the TO’s about the cycle objectives and in turn, the TO’s brief the distributor and ultimately work with the retailers. In this regard the contract merchandisers generally perform well to accomplish the TO’’s job, at the end of each cycle, the TO’s prepare a cycle evaluation report. Training & Development: To train the working people is one of the most important jobs of any TO. They generally train the people working for the distributors, for example distribution representative and the contract merchandisers within his territory. They also train the retailers about how to approach consumers, if necessary. Convenience Outlet: All shops where consumers generally go without any purchasing intention fall in this category. The consumers like to buy product on impulse from this sort of outlets. These outlets generally maintain a limited product range and do not offer flexibility in prices. Grocery: These are the outlets where consumers visit on a regular basis with a purchasing intention. They generally make a list of items before they will visit these sorts of outlets. These outlets typically offer variety in terms of product range and flexibility in prices. HoReCa: Shops like hotels, restaurants, and cafes are considered in this category. The prime characteristic of a HoReCa is that the shops must have a seating arrangement. It is assumed that consumers visit those shops with the intention to spend some time. These outlets range from small roadside cafes with seating arrangements to luxurious restaurants of fast food outlets. The Marketing Department and the Production Department activities are highly correlated. According to the needs of the Marketing Department, Production Department carries out the cigarette manufacturing. The Marketing Department forecasts the sales volume of the different brand cigarettes for the coming business year and based on this; prepare a marketing plan known as the Sales Operational Plan (SOP). According to the Plan, Marketing Department communicates the brand wise sales target for each month to the Production Department. Based on the SOP, Production Department sets its production schedule. The inventories of cigarettes are also evaluated at this stage to find out the actual output to be produced. There is no doubt something has to be done to ensure business sustainability in Khulna. But the big question remains – where to “STAR”t? The industry trend in Khulna region suggests there is no alternative other than expanding distribution and building low segment brand to turnaround the scenario. We have to expand the outlet coverage first to create a launch pad for brand building because brand building activities with current coverage scenario would not have any desired effect. Revisiting our portfolio focus: Establishing “STAR” as strong low segment brand. In order to execute the ways defined above, the Project Blueprint has been undertaken as a regional initiative to regain the market leadership in Khulna. The Khulna – 1 territory consists of Khulna and Satkhira. In terms of volume and market potential, the territory is considered with utmost importance. It contributes around 22 million sticks of cigarettes per month, which is a significant portion of the total area. Our distributor distributes in Khulna, Satkhira and Bagerhat. Satkhira and Bagerhat are considered as an OSDO (On Site Distribution Office) of Khulna and controlled from Khulna. In total our distributor covers almost close to 10,722 outlets out of their retail universe of 24,177 outlets in Khulna – 1 territory. The Satkhira market is in a better position in terms of volume than khulna. Particularly both Khulna & Satkhira is facing fierce competition from “NAVY”, and we are fighting back. In terms of consumer share off-take, we see that BATB is in a better position from its competitors and leads the markets with more than 60 percent of total consumer off-take share. Khulna is considered the heart of DTI where “NAVY” has a 54 % consumer off-take share, whereas “STAR” has 1.45 % of the Cake. “STAR” was launched in Khulna in June, 03 with the new pack. In one month time, the share has increased from 1.45 % to 12 % in May, 03. The reach of “STAR” has significantly increased to more than 48 % from 12 %. Therefore, roughly it is a responsive market with huge potential and with high percentage of volume growth. At the same time, the market involves risks like volume swapping and lack of long-term sustainability of consumer preference. One of the first characteristics of Khulna is that it is the home ground of DTI. They are very aggressive in terms of protecting their position in the market. Therefore, hitting Khulna means hitting the heart of DTI and making them vulnerable in their base. The second unique characteristic of Khulna is its large and strong base for low segment. It promises a high potential market for “STAR” in the future. Last but certainly not least, the third uniqueness is its responsiveness. It ensures that minimum effort and expenditure at this stage will bring huge effect in the market. For instance, in the last “STAR” Mega Cycle, new pack was launched on 14th June, 2003. The response from the market over exceeded al the expectations. Where in previous months, the reach of the brand was 12 % and average STT was only 100,000 sticks, after the new pack launch, the reach became more than 48 % and the average STT became 450,000 sticks. The volume growth in “STAR” filter came without any significant loss in Scissors Filter volume. The Top of the Mind Awareness Level is critical for a Tk. 1 brand to establish in the market. In the consumer survey, the following results are being found through the datasheets. The data are presented along with the data taken form a previous survey conducted in 2002. For a depth understanding, the results are further categorized into different market types. From the above data, it is clear that “NAVY” is enjoying an unexpectedly higher level of awareness among the consumers compared to its closest competitor “STAR”. While, the overall awareness level of “NAVY” is 54 percent, “STAR” has only 10 percent TOM awareness. “NAVY” has a very strong TOM brand awareness significantly among low segment smokers. Improvement is seen across all the centers. This improvement came at the cost of “STAR”, Scissors and JPGL as well. Trends are showing that, the TOM awareness level for “STAR” is decreasing and at the same time, it’s shifting towards “NAVY”, which is alarming. “STAR” has significantly low awareness among the low segment smokers. A strong awareness drive is required for the brand to push the brand on a growth trend. “STAR” will not be able to surplus “NAVY”’s strong TOM awareness in the mid term. Therefore, there is a need to take some focused approaches with “STAR” Filter to tackle awareness growth of “NAVY”. Consumer Disposition funnel provides with a systematic state of the consumer’s decision-making and loyalty level. In the consumer survey, the following results are being found through the datasheets. The data are presented along with the data taken form a previous survey conducted in 2001 and 2002. From the above data, we can easily identify that, in the funnel, “STAR” is clearly facing a bottleneck in the consideration and trial stage. While “NAVY” is going at a steady rate, “STAR” due to its poor performance in the consideration and trial stage is failing to deliver enough loyal consumers. In addition, it seems that, in the recent years, the rate has further decreased due to increased competition and other related factors. If we take “NAVY” as benchmark, “STAR” is clearly having problem in consideration and trial stage. “NAVY”, having higher TOM brand awareness, distribution and image is smoothly moving through these two stages of the disposition funnel. From the retailer interviews, it is clear that the brand has fall into a vicious cycle. The scenario is like that, the retailers does not stock or make it available to the consumers because there is not enough pull from the consumer’s end. At the same time, the consumer’s are switching their brands due to non-availability in the shops. From the findings, it is clear that, there is a gap between the pull and push. Furthermore, if we try to have a look at its impact, we see that, even if we do convert the consumers and make them smoke “STAR” through any consumer-focused program, but eventually they will not last. Because, at that point of time, they will be in the most vulnerable stage and will not sacrifice their convenience to find the brand. On the other hand, if we try to pile up stocks in cigarette selling outlets through trade promotions and DR incentives, but failing to create the same level of pull will eventually disrupt the free flow and will bring noise in the market. This will further hamper natural sale flow and might hinder the STT (sales to trade) of other BATB brands. “STAR” Filter is having a very low level of TOM awareness compared to its competitor. In the consumer disposition funnel, it is clear that there is a huge gap in the consideration and trial stage. Lastly, there is a huge level of retailers’ lack of confidence in the Brand in terms of pushing it to the consumers, as there is not enough pull from the consumer end. Analyzing the gaps, followings are some of the recommendations those are believed to have a positive impact on the market. “STAR” Filter has to be active to arrest strong TOM brand awareness growth of “NAVY”. A full blast merchandising and awareness enhancing activities will definitely help to prevent the decreasing trend of awareness. To drive awareness there should be focused activity to drive up consideration and trial among for “STAR” Only awareness drive will not be able to tackle strong growth of “NAVY”. Robust consumer interactive activity is required for driving consideration and trial for “STAR” Filter. Synchronized and controlled retail promotional activities should be in place to create a free flow of push and pull. Creation of a steady pull will help the retailers to get their confidence back on the brand and trade promotion will further encourage them to push the brand to the consumers and drive up the rate of conversation. In the next chapter, detail modality and cost of the pilot run of the recommendations is discussed. While, this is comprehensive and believed to provide the optimum result, but there is always scope for further customization to make it more adaptive to the market for a better and focused result. Drive up the TOM Brand Awareness in the cluster and induce consideration and trial among the consumers. The broad objective will be to create a loyal consumer base. Build up trade support with confidence in the brand. Deliver 62 percent of distribution reach and 1.25 million sticks of monthly sales volume. High Attractive Zone: Average JPGL ADS of 160+, Average DVFM ADS of 200+ and “STAR” reach of 50 percent. Moderate Attractive Zone: Average JPGL ADS of 100+, Average DVFM ADS of 160+ and “STAR” reach of 40 percent. Low Attractive Zone: Average JPGL ADS less than 100, Average DVFM ADS less than 160 and “STAR” reach less than 40 percent. In the first stage, we will be considering only the first two zones. The tables on the next page shows specific cluster classifications for Khulna market based upon above criteria. To encourage off-take in the above-mentioned clusters, we will be conducting consumer interactive program. The program will include consumer contact, games for the consumers, quiz contest etc. All these activities will be conducted from “STAR” Booth decorated with “STAR” POS. We will be conducting Customer & Consumer Encouragement Program in the clusters where we are running Incremental Target Based Trade Competition. In this program, we will be inviting few key Retailers and the new “STAR” consumers who have switched from the competition brand in a local HoReCa. We will show them “STAR” AV, talk about the brand, provide small refreshment and distribute sapling or clothing. This activity will create news regarding “STAR” resulting in more consideration & trial and in long term will induce brand loyalty. This activity will induce Regularity among the Consumers. After we conduct the consumer interactive program in a cluster for one week, we will track down the newly converted “STAR” consumers. With these consumers, we will form a “STAR” Club where the members will get maximum of three packs of “STAR” HL (60 sticks) at a time at a discounted rate from the distribution house. They will also get a “STAR” Coupon with which they can buy goods worth Tk 50 from some selected outlets in his cluster. This activity will reinforce regularity and induce loyalty among the consumers. We will select some clusters where we will create three/four “STAR” Outlet through our relationship building activity. These outlets will be the representative of our brand with a sales exclusivity. This will build confidence of the other retailers of that cluster on our brand. It is an incremental volume target based trade competition. The competition will run in remote/isolated clusters or hubs for one month. There will be weekly target volume of “STAR” Filter for each outlet. Retailers achieving weekly target will be rewarded weekly. We need to establish “STAR” HoReCa to drive the image of the brand. These HoReCas will also be helpful in conducting the above-suggested Consumer Encouragement Program. Besides, these HoReCas will be the key point of our consumer contact. This activity will help us in getting some extra mileage from our consumer interactivity program and will build up further awareness and trial. Therefore, a total of Tk. 2.92 Million is needed for the pilot project to be implemented. Detail breakdown of the budget is given in the appendix. In addition to the volume contribution, it is also expected that the product reach will increase from 50 percent to more than 62 percent. Therefore, calculating the cost of the project and its additional yield, the project payback period is 3 years. Although sustained volume assumption shows a much less payback period (2 years 4 months), but to be in a fail-safe position, we are considering the volume to decrease up to a percentage after the completion of the project and then regain again. “STAR” Filter is a critical brand for BATB. While, this is only a small part of the total brand portfolio, but in holds greater importance other than its face value. Strength of “STAR” will determine the condition of future competition. If DTI can get a strong grip in Tk. 1 segment with their “NAVY”, they will move forward to attack JPGL – one of the major strengths of BATB. Therefore, keen importance should be placed for establishing “STAR” in every market to keep DTI busy for their sustenance. From another perspective, Tk. 1 segment is a huge and fastest growing segment in the industry. As a result, naturally it promises greater potentiality for BATB. Therefore, getting the brand establish in this stage will make it easier for BATB to lead the way in the future. After complete the research on BATB based on global marketing strategy in Khulna region, I have earned lots of information about BATB. Now I can understand that how they control market and beat their competitor. Actually they takes different types of step in different region to get success. As I have worked on Khulna region so, I knew that Khulna is considered the heart of DTI where “NAVY” has a 54 % consumer off-take share, whereas “STAR” has 1.33 % of the Cake. “STAR” was launched in Khulna in June, 03 with the new pack. In one month time, the share has increased from 1.33 % to 12 % in May, 03. The reach of “STAR” has significantly increased to more than 48 % from 12 %. Therefore, roughly it is a responsive market with huge potential and with high percentage of volume growth. At the same time, the market involves risks like volume swapping and lack of long-term sustainability of consumer preference. I think Tk. 1 segment is a huge and fastest growing segment in the industry. As a result, naturally it promises greater potentiality for BATB. Therefore, getting the brand establish in this stage will make it easier for BATB to lead the way in the future.